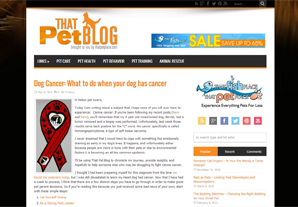 That Pet Blog provides expert pet advice for your dogs, cats, and small pets, up-to-date pet news, training advice, nutritional advice, and informative articles written by That Pet Place's expert staff. Headed by on-staff aquatics director and marine biologist Dave Acland, That Fish Blog is overflowing with excellent fish and aquarium advice, current news, product updates and personal experiences from Dave and his entire staff here at That Fish Place. That Fish Blog offers the chance to interact directly with marine biologists who are also aquarium hobbyists. Join the experts at That Fish Place - That Pet Place to learn about everything reptile and exotic pet! 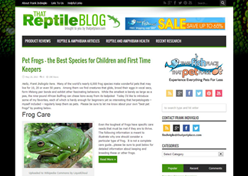 Everything from species care, newly discovered creatures, choosing the best pets from real-world experiences and travels can be found within That Reptile Blog. Got a question about a herp? Don't hesitate to ask our team! Pet Birds can be tough - but our team has you covered. 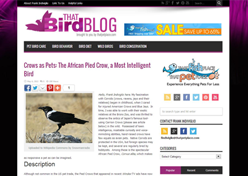 Check out That Bird Blog for the latest tips and advice on keeping pet & exotic birds. Everything from Parakeets to Hyacinth Macaws is here. Need help with diet, cage setup, or which species to try first? That Bird Blog is the place. Let our pet experts help you. Each pet blog is regularly updated by our on-staff experts with excellent pet advice and information. Our authors bring a lifetime of interest and experience to each post and are eager to answer any questions you may have. 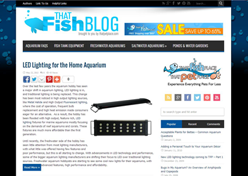 That Fish Place - That Pet Place blogs offer the chance to interact with real experts in their fields, as well as committed hobbyists with years of experience with aquariums and pets.